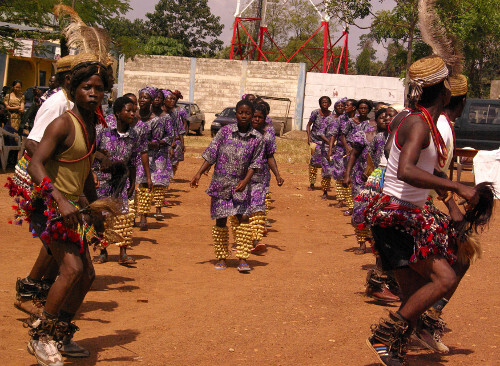 Mid-November 2013 marks the arrival of the New Testament and the Psalms among the Nawdba, a people of Togo. With government representatives and various organizations (SIL, UBS, Wycliffe…), they assembled to celebrate the long-awaited event. “God becomes a little more concretely Nawda,” the Bishop of Kara says at once. 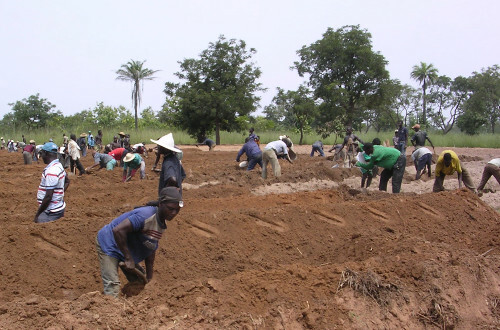 From now on, the Nawdba, a people of Togo and a part of Ghana, have the evidence that God speaks their language. They have access to the New Testament and Psalms in Nawdm since a few months ago. 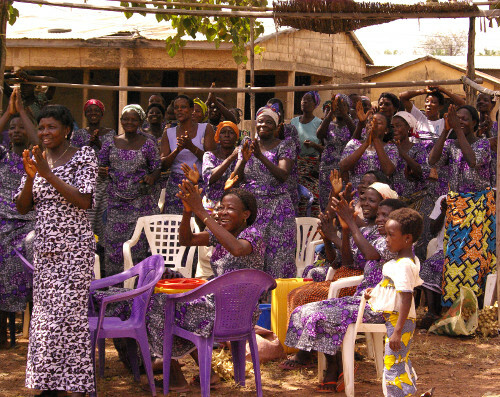 “In our churches, we will directly hear the Word of God in our own language!” a Nawda exclaims. 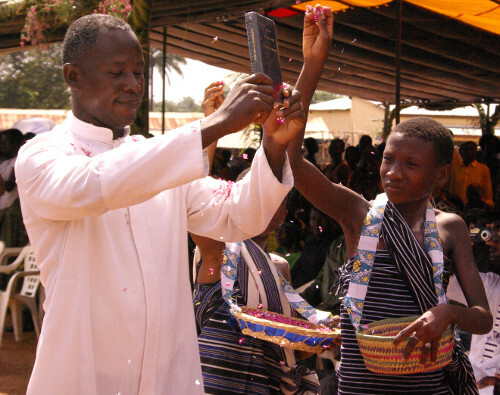 The habit in churches is to read the Bible in French, the official language of Togo, and yet “There is a large slice of population that can communicate only in Nawdm. They are left out of God’s worship. Nowadays, these persons don’t need an intermediary anymore to pray to God,” the regional representative of the Minister for Culture thinks. On the large square in the town of Niamtougou, wide pergolas replace the crush and noise of the Sunday market. There is still noise but this one is much different. Drummers, accompanied by dancers with “maracas” attached to the ankles, are inviting everyone to join the group to celebrate the occasion. Songs in Nawdm burst on the place to praise God during this event. About 300 people replace the saleswomen with their trays on the head. Instead of stalls with bulk cereals in basins, the public is there: Christians, Muslims, and animists. All have come to listen to the various speeches that honor the work produced by the linguists and the Nawdba translators. 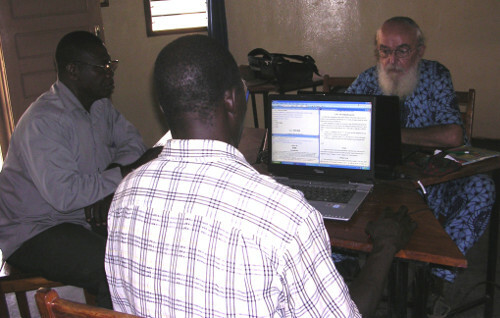 Besides knowing God, this translation program also ensures the conservation of the Nawdm language, since it has enabled its writing down. “Many languages disappear over time because there is no research,” M. Edjidomele, the regional representative of the Minister for Culture, points out. Source: this text is translated from the website of our partner Wycliffe France. To write to us or support us, please visit our Contact page.